Limit: 6 participants (Minimum is 3.) Workshop will be re-scheduled if enrollment is less than 3. 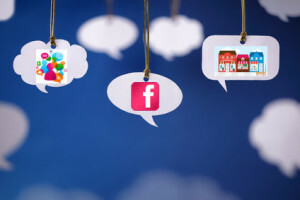 Which social networks and online activities to choose as your primary book marketing locations. Focus for effectiveness. Save time and energy. The essential components of an author’s online platform. Do you have them now and do they “play well” together? The essential daily, weekly and monthly tasks for a smooth running book marketing system online. Stay on task, not lost in cyberspace. How to use three online tools to manage and schedule posting to Facebook, Twitter and LinkedIn. Be strategic with your time. How to use social networking and social media tools to find more readers. Get results. How to use social networking and social media tools to sell more books. Get more results. Nine possible book marketing routines to choose from to increase your visibility as an author and your book sales. Make your time work for you with routines that become habits. Eleven essential steps for an effective online book launch. Check all the boxes to execute a series of timely steps. Less stress. There will be short presentations and time for some hands-on work (with coaching). You will leave with checklists and other materials to help you take the next steps, and you will have access to the instructor via email for 4 weeks of support following the workshop. Limits: Each session limited to 4Â participants (minimum is 2). Workshop will be re-scheduled if enrollment is less than 2. Â Perfect for beginners, each clinic session will be slow-paced and give you one-on-one assistance to get started. You will leave with checklists and other materials to help you take the next steps, and you will have access to the instructor via email for 4 weeks of support following the workshop.